Incepted in 2010 “MINEX Central Asia” is one of the largest and most authoritative international events providing industry-wide discussion platform on mineral exploration and mining in Kazakhstan, Kyrgyzstan, Tajikistan, Uzbekistan and Mongolia. 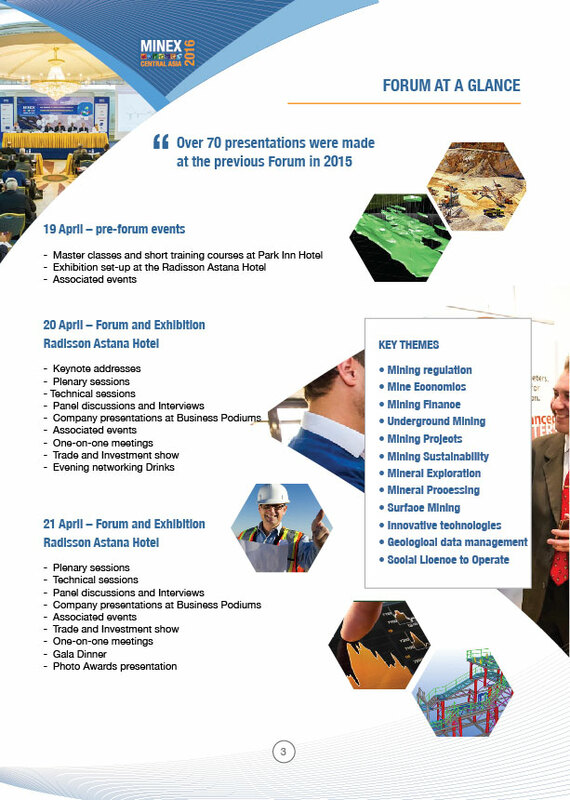 For the past six years, the Forum has played a significant role in promoting investment, technological and business partnerships in mining sector as well as facilitating international dialogue between local governments, mining companies, service providers, equipment producers and investors. 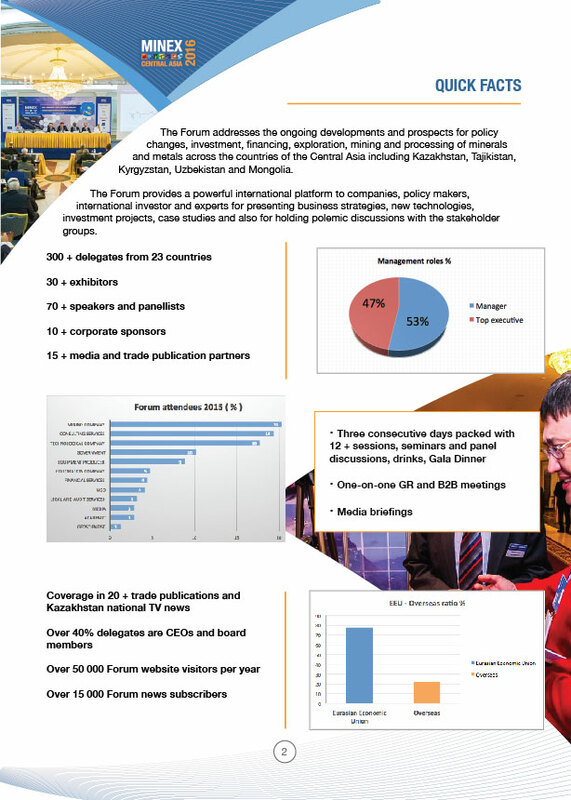 Building on its success for six consecutive years MINEX Central Asia Forum is set to remain the only Mining and Exploration forum of this size and quality, accurately showcasing trends, investment and business development opportunities across the resource rich Central Asia’s region. 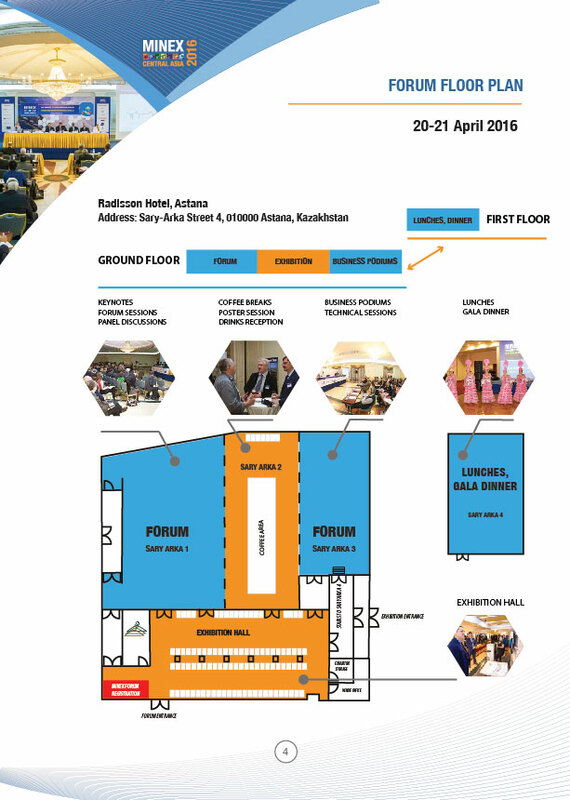 MINEX Central Asia 2016 Forum will provide in-depth coverage of the evolving mining and exploration trends and developments in Central Asia and the neighbouring states and plays important global medium role offering a professional platform on mining education and hosting open-minded exchanges between state officials, mining regulators, mining companies and international stakeholders on the current problems and future prospects of mining in Kazakhstan, Kyrgyzstan, Tajikistan, Uzbekistan and Mongolia.